Last Thursday, I went to Penang to finally get my braces off. The process took very little time, and soon those metal wires that had held my teeth captive for almost three years now were gone, replaced by the foreignness of having nothing on my teeth. The feeling was so strange I couldn’t stop running my tongue over them the entire day and admiring them every time I stumbled upon a mirror. My parents and I spent the night and my uncle’s because I had to collect my retainers the very next morning. And when I did, I swear, you’ve never known pain until you’ve met these little alien-like…things. And that’s it! The end of my braceface journey. It was certainly a colourful one, but ultimately I’m glad to have finish it. hi there. may i know how much the total cost for orthodontic treatment? 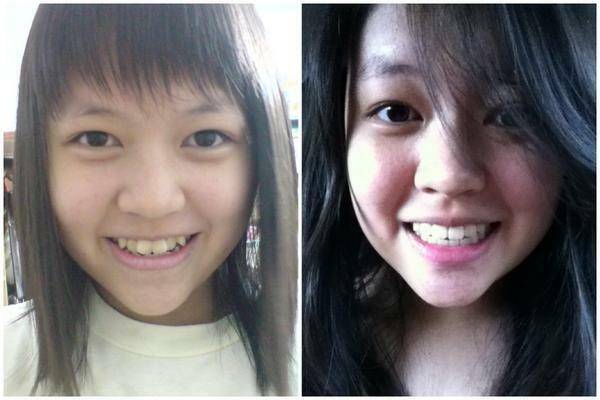 i wish to hv the treatment at Looi orthodontic too. i wanna know that do i need to make an appointment before i go to clinic or i can go there directly?? You have to make an appointment first. Would you like me to email you their office number? hahha…yaya..i need the office number..^^do u know their working hours? another question..HIHI…do u did the extraction for the whole treatment?